Tired of job failure morning surprises? Wish you could receive email attachments or be notified of job failures? There is a better way! 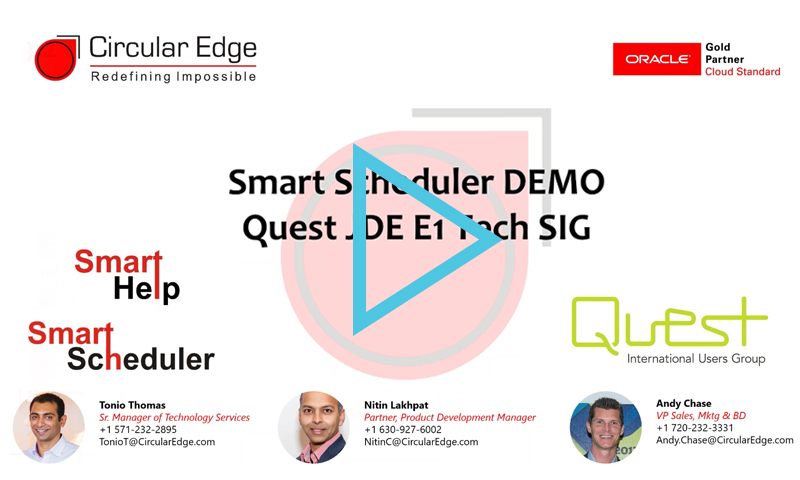 Find out how you can completely automate your batch job execution by leveraging Smart Scheduler, an Oracle Validated scheduling tool developed using the standard JDE toolset.